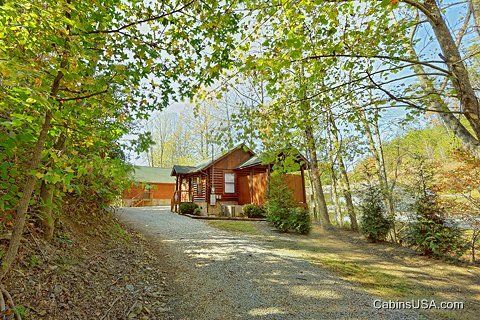 Experience this fantastic cabin for rent near Dollywood in the Pigeon Forge area of the Smoky Mountains! 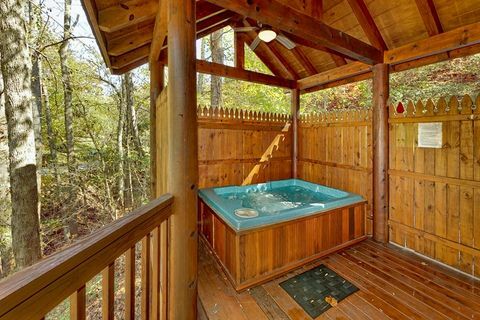 "A Romantic Retreat" gives couples vacationing to the area that ideal cabin with all the amenities needed for vacation for two. 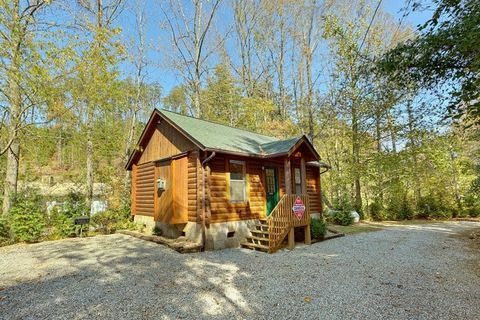 Nestled in a forested setting, this 1-bedroom cabin in the Tennessee Smoky Mountains offers visitors several amenities to create the perfect romantic ambiance. 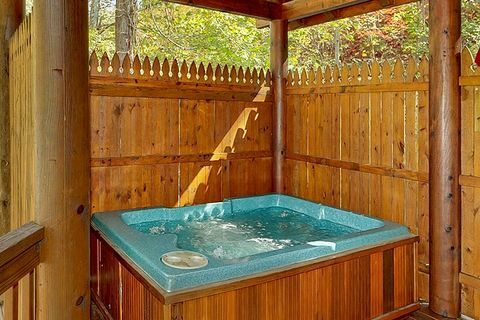 Bathe in the bubbling warm waters of this cabin's large hot tub. 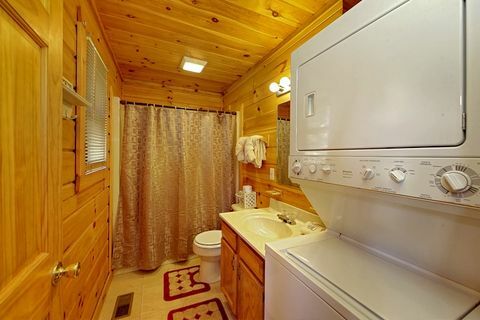 In the winter, snuggle with your sweetheart in front of the charming gas fireplace. 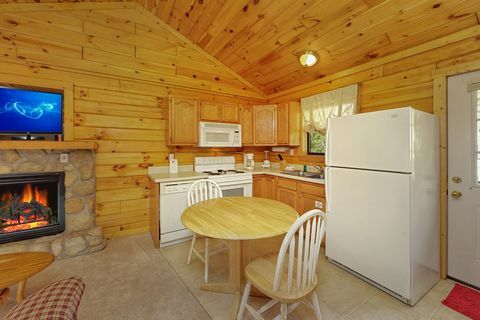 Craft delicious homemade meals for two in well-equipped kitchen or on the outdoor charcoal grill. 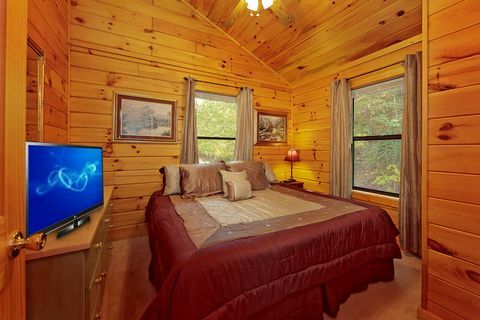 When the day is done, cuddle up under the covers of your bedroom's lavish king bed for some much need rest and relaxation. 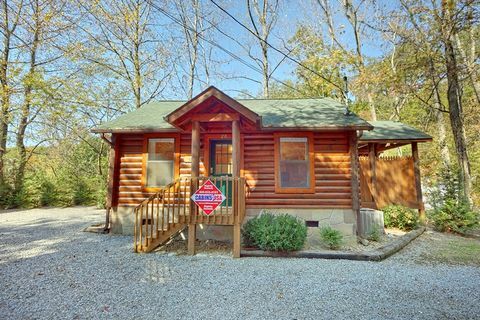 Additionally, this Pigeon Forge area cabin rental, on Upper Middle Creek, is just minutes from many of the area's most popular attractions, live entertainment, and most visited restaurants. 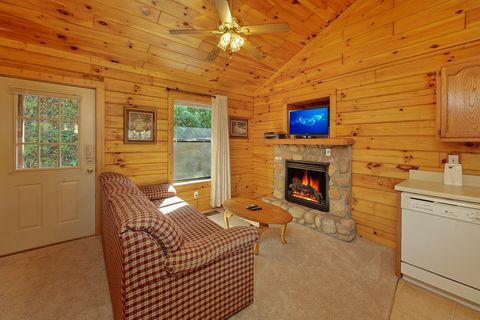 Start planning your mountain getaway today! Get an immediate Cabin Discount when you book this 1-bedroom cabin in the Tennessee Smoky Mountains online with Cabins USA!